Work by Elizabeth Stevens, Kay Veith & Albino. 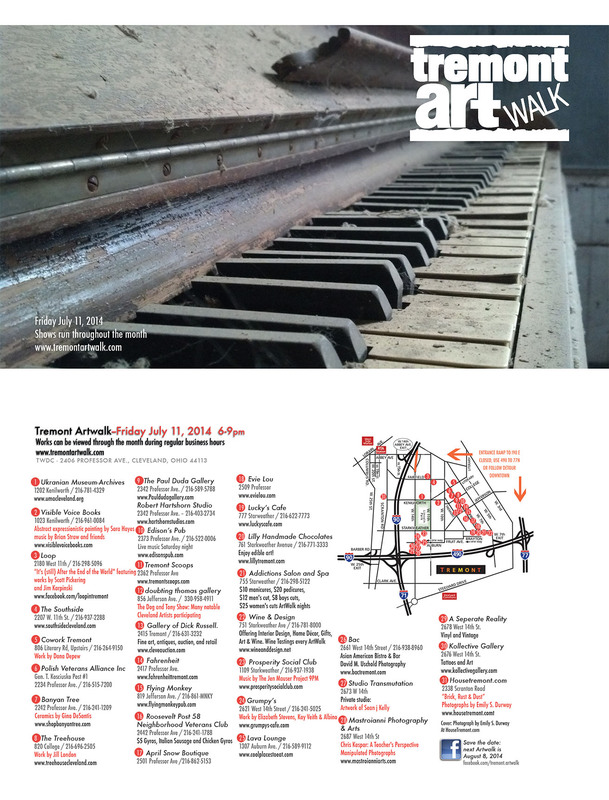 Featuring works by Scott Pickering and Jim Karpinski. Prosperity Social Club 1109 Starkweather / 216-937-1938 Martini 5-0 at 8 p.m.
Music by The Jen Mauser Project @ 9 p.m.
Saturday 11am–6pm, Sunday 11am–3pm Offering Interior Design, Home Décor, Gifts & Wine! Monthly ArtWalk wine tasting with any purchase.